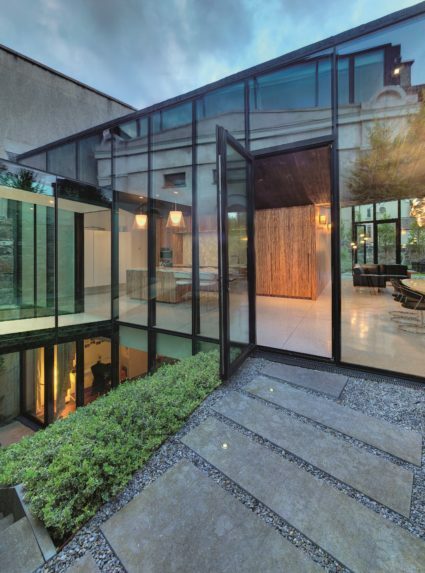 SLIDING DOORS are designed to maximize panels sizes, yielding doors with extensive areas of glass for unparalleled panoramic views. Lift-slide opening hardware fulfills a user’s high expectations for optimum quality, high insulation and ease of operation. 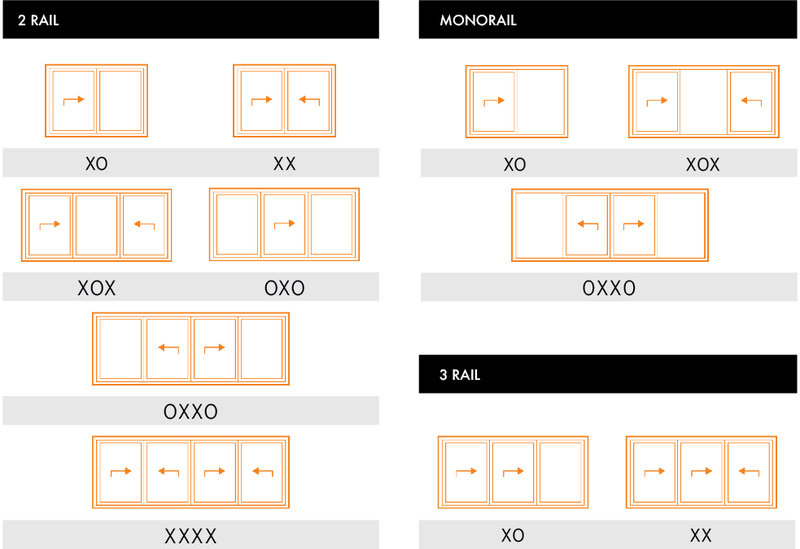 Multiple opening configurations offer flexibility between architectural aesthetics and design including corner & pocket solutions. A featured zero-level, flush, threshold provides for a continuous transition from the interior to exterior with zero grade change. A lift & slide system elevates the door panels before gliding them across the track, utilizing durable wheels and stainless steel rails for optimal opening comfort. When closed, the door leafs are anchored for maximum insulation, air & water tightness with a hermetical seal. This methodology eliminates brushes and other moving parts for worry-free maintenance. 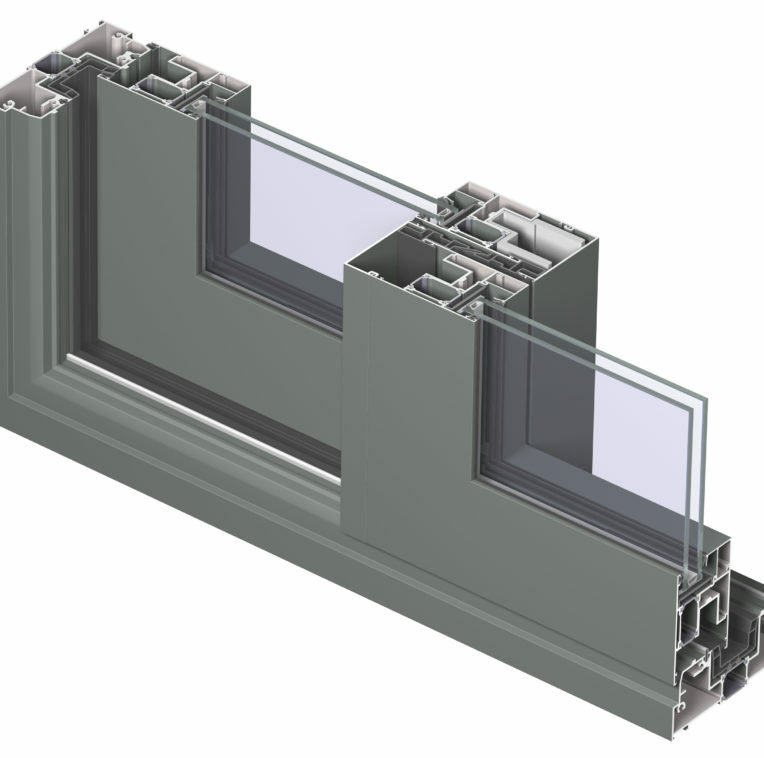 A solution without borders, allows up to eight vents to slide within a wall. Fully open up a room to the adjacent space beyond the door without any visible elements or obstructions. Achieve superior aesthetics by matching the color of the finishing profile to the supporting wall. 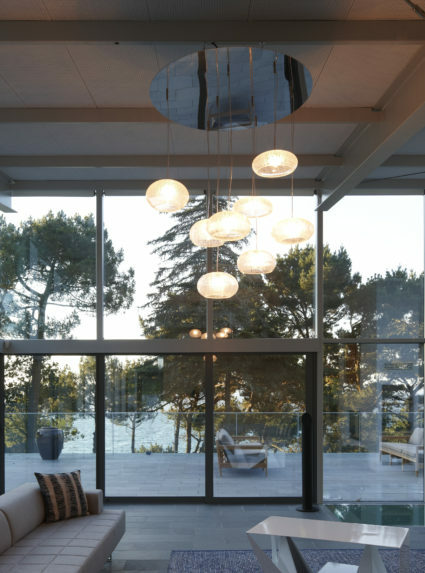 Open your space up to a full spectrum of un-interrupted panoramic views with an optional corner profile that transforms a lift & slide door into a post-less 90 degree opening solution. 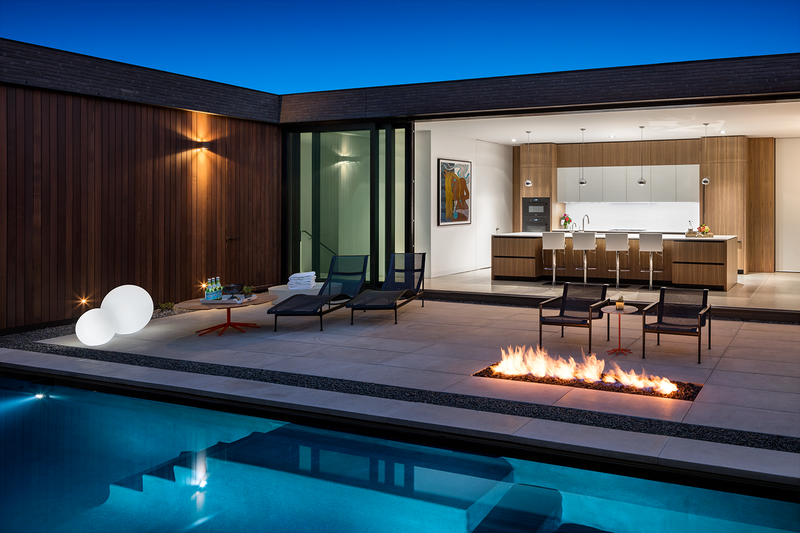 A seamless transition from interior to exterior with zero grade change. The drainage channel is located beneath the floor and the exterior drain tile for water infiltration. It is available for 2, 3 and multi-rail doors. 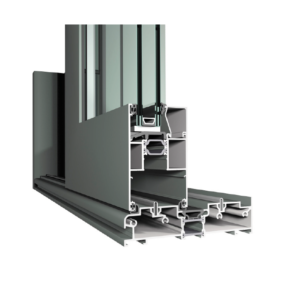 A slim profile with a sleek design optimal for any space and ideal for renovation projects; available for Two (2) rail doors only. 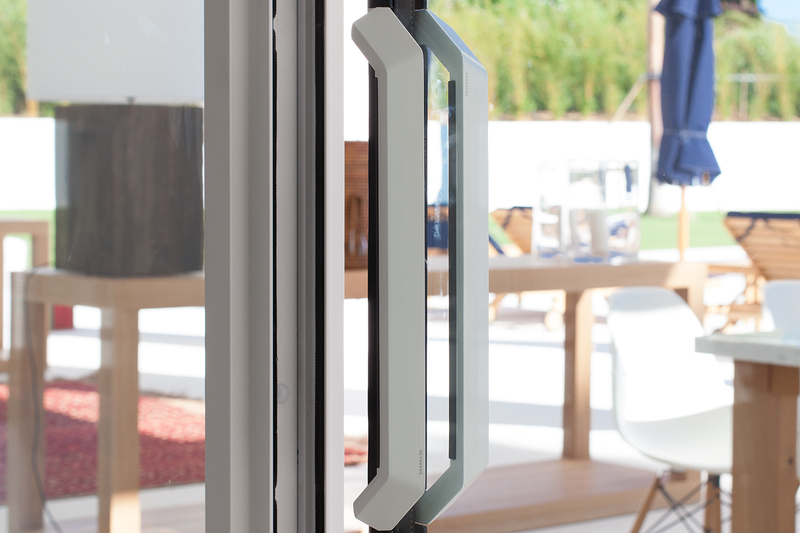 CP 130-LS is a refined lift-slide sliding doors system that is ideal for smaller patio doors up to 8’ – 10” tall. CP 155-LS has a robust functional profile yielding very large door leafs up to 882 Ibs. HI-FINITY is characterized by minimal visible sight lines and infinite views. A Monorail combines a movable vent on one side of the frame with a stationary glazed element anchored directly into the frame on the other, creating a minimalistic look. 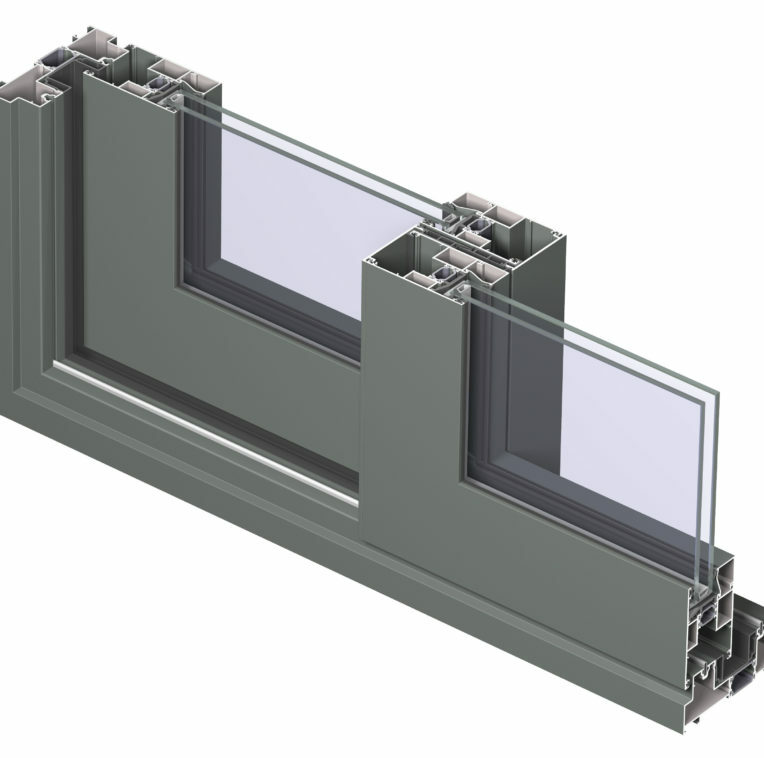 Utilizing a fixed panel in lieu of fixed vent reduces sight-lines while allowing for the integration of optional inward opening window(s) into the interior side of the frame. However, it is possible to mount the fixed portion on the outside, when glazing the unit from the exterior is desired. The outer door frames can be expanded from two (2) to eight (8) rails deep holding up to 16 panels; the combinations are endless, facilitating creative designs for very large openings. Any of the vents can be made into sliding elements, yielding a wide range a door combinations and flexibility for users. The innovative design of Hi-Finity is characterized by minimal visible sight lines and infinite views. 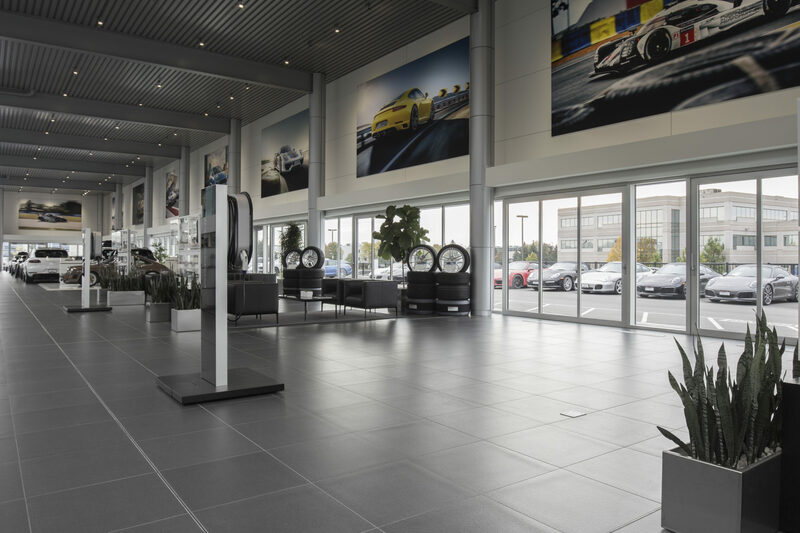 Floor-to-ceiling glass surfaces seamlessly fade away the surface between interior and exterior environments creating the ultimate minimalistic appearance. Maximum Comfort: High insulation with optional double or triple glazing give a feeling of comfort and warmth. Fully integrated frames create a flush threshold, allowing for easy entrance and accessibility. 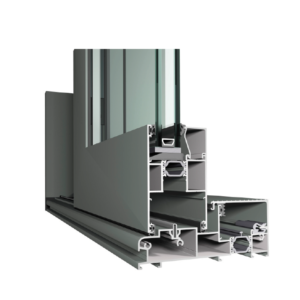 Ultimate Performance: Reynaers patented adjustable meeting section guarantees a perfect fit with ultimate performance in air and water tightness. Slide With Confidence: The dedicated wheel base ensures fluid movement of the largest glass panes for easy manual operation. 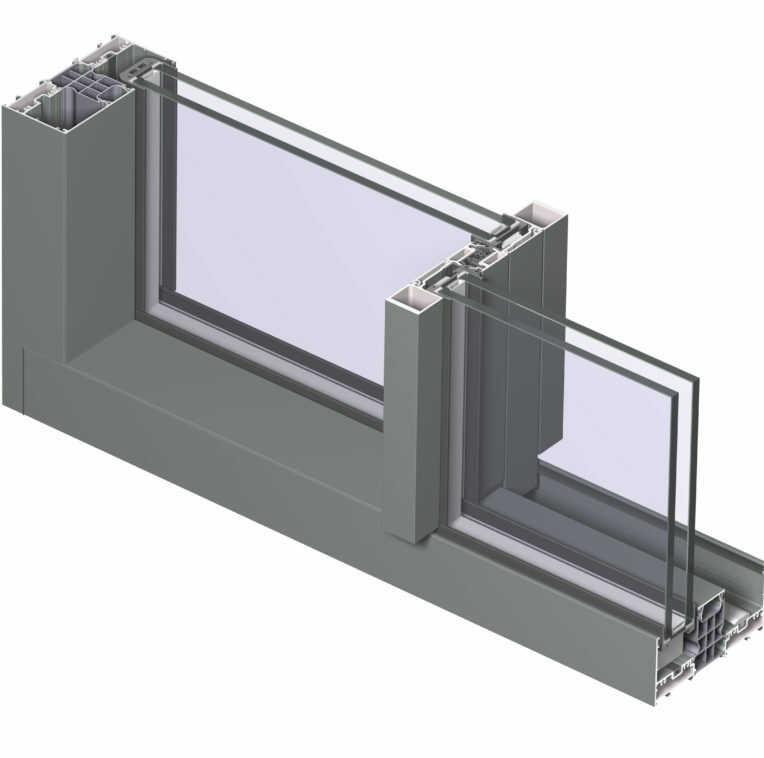 Configuration Options: Multiple configurations and opening types, including 2-rail and 3-rails with a central closing solution, allow up six movable glass panes within a single door frame. Hi-Finity Corner: Eliminate borders with a corner solution to open up spaces without a fixed corner element. 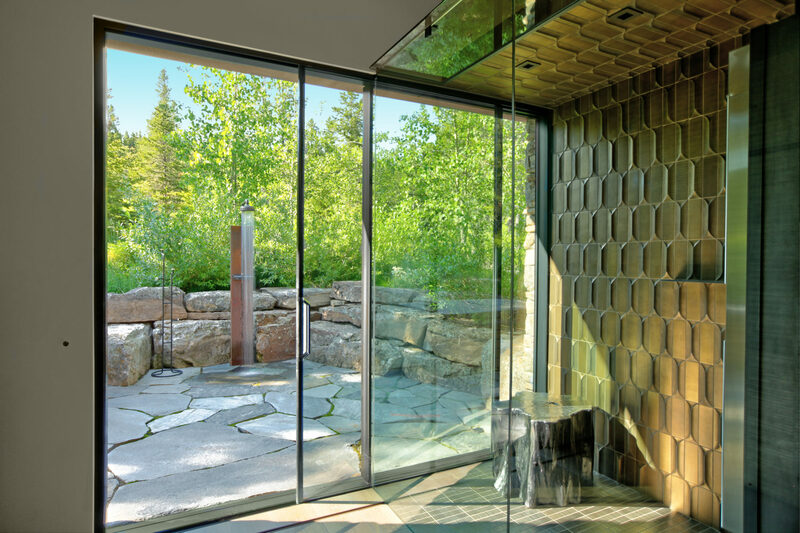 When the sliding door is open, the corner is entirely free to experience a full spectrum of naturalistic views. Optional Electronic Locking: A central locking mechanism, combined with layered glass, guarantees a high level of security. Electric locking and unlocking operated by a simple push of a button or via remote control, is secured with a bolt & hook. The Handle: Hi-Finity’s character is also expressed by its unique handle. The handle design balances a minimalist presence with a strong expression. In a closed position, the handle makes a connection with the wall, seemingly melting into it.